With the G12H-150 Redback, Celestion has designed a guitar speaker of contrasts. It’s built to deliver towering slabs of frightening, monstrous tone, but still has the detail and clarity you need to play loud and clean. 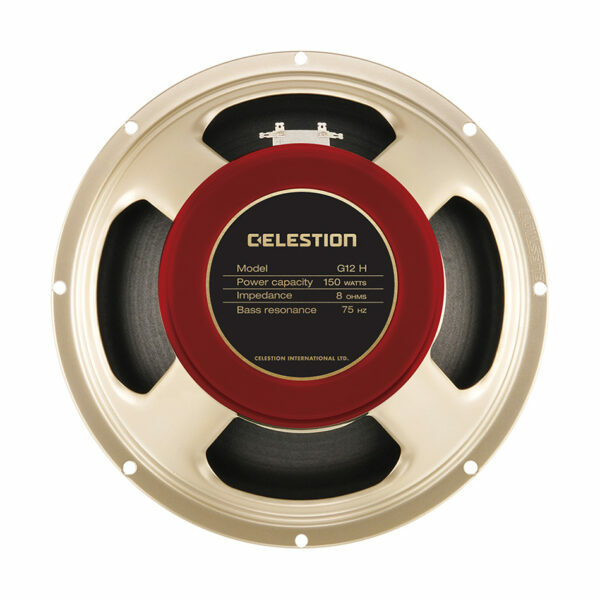 Constructed with a supersized 2-inch voice coil, combined with the heaviest G12 magnet and a ton of engineering expertise, this guitar speaker delivers a tight, fat low end, more laid back treble and enough midrange character to deliver compelling lead lines. Get gargantuan tone direct to your modelling amp or audio workstation and dial in balance, responsiveness and superb playability delivered by the Redback with muscular ease.